The black and white Canadian set was issued by World Wide Gum in 1936. The cards measure approximately 2-1/2" X 2-7/8", and the set includes both portrait and action poses. The card number and player's name (appearing in all capital letters) are printed inside a white box below the photo. 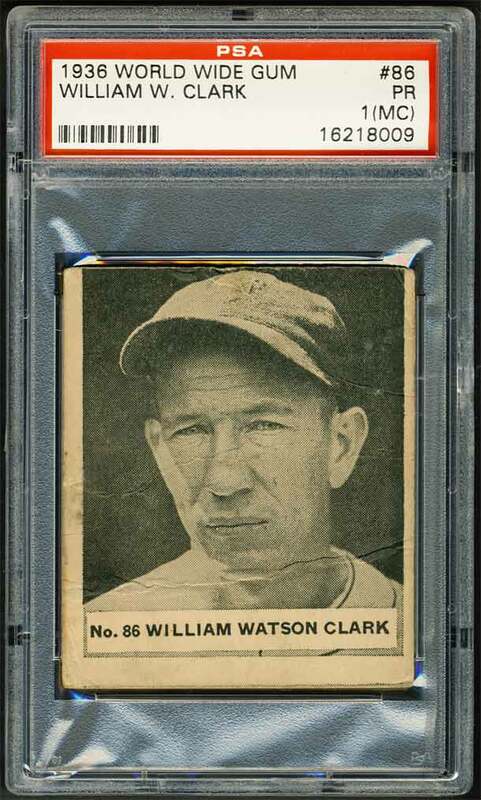 Cards are very hard to come by and rarely found in top notch condition. Several creases from left to right, slightly off cut, and clean reverse on this example of William Watson Clark.